Look at my pretty Black Friday hoardings from the Fat Quarter Shop (gee, I adore how they pack our parcels, always so yummy)! 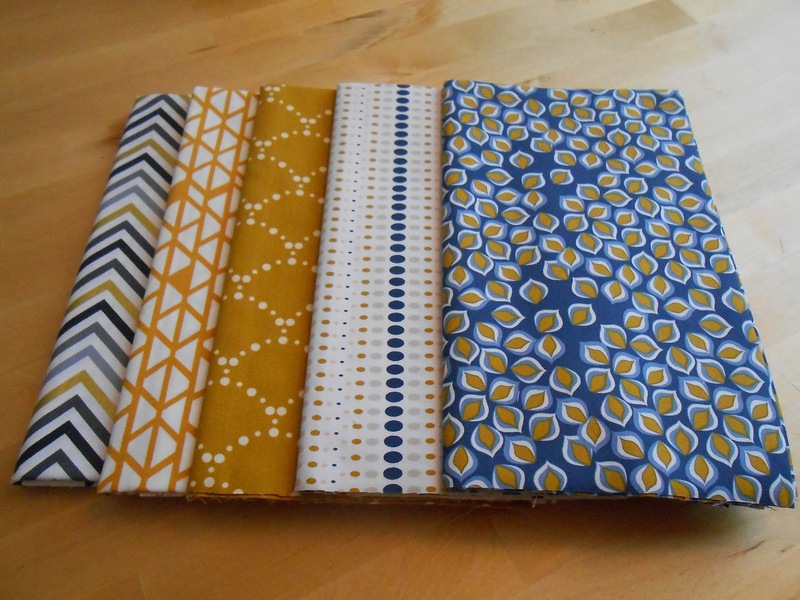 I decided that I needed graphic prints that would go with the selected Cotton and Steel bundle I've made my mum give me for Christmas (still so long til it's back in my arms!) but that would also work as fillers and background fabrics in general. Hence, lots of yellow-golden and blue hues, some Remix and ever so beautiful Art Gallery prints. Sensible me also got yards of these beauties. 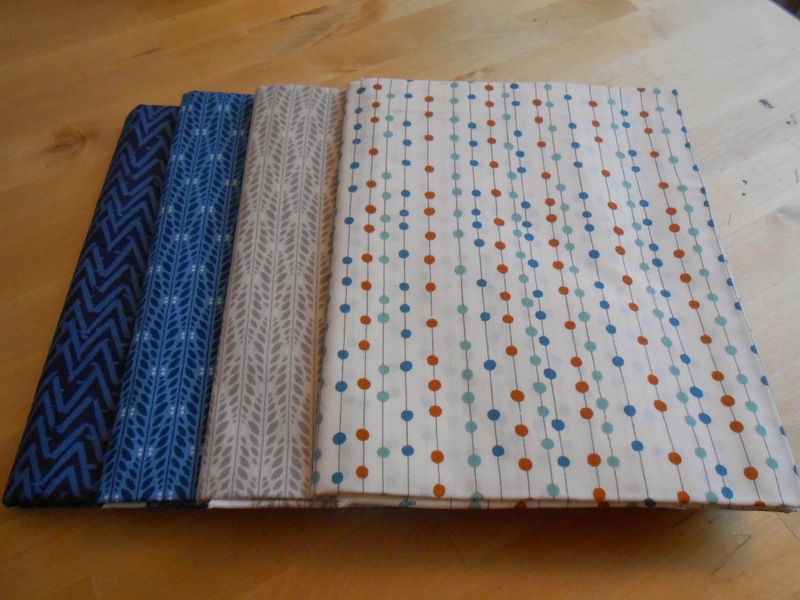 Perfect for backgrounds, backings, binding - I know these will come in handy. Of course I couldn't resist buying half a yard of utterly cute and kid-friendly. 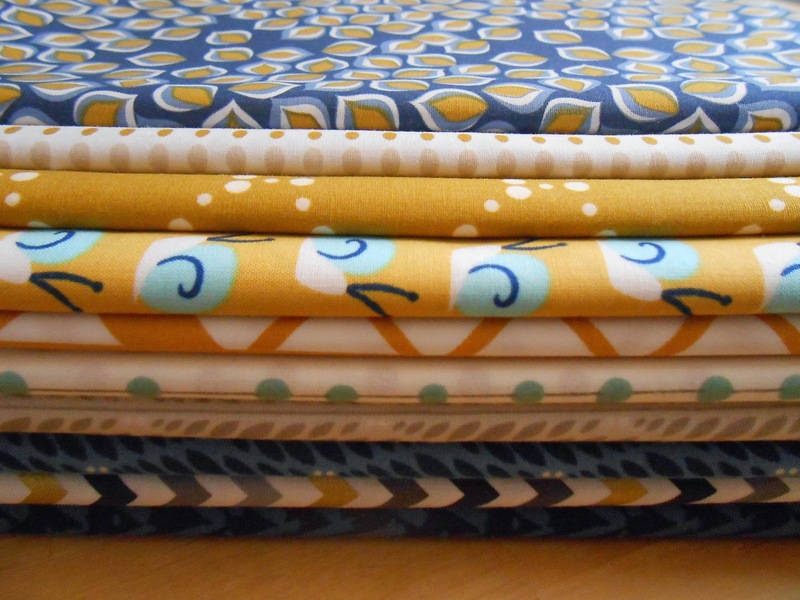 A girl's gotta some have fun when she's so sensible with the rest of her fabric money. Okay, I admit it, it was all fun, though sometimes tough to pick and choose, but don't tell anyone. 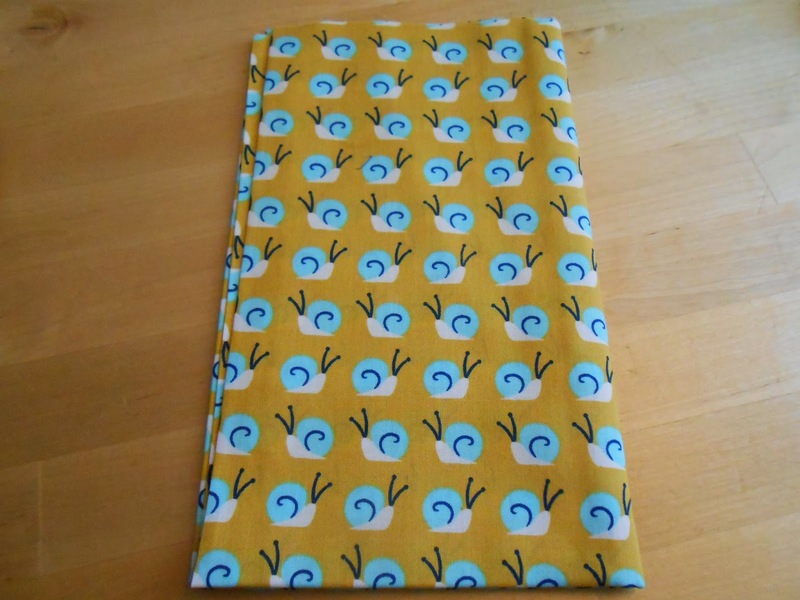 The Cloud 9 snails won out against two Marine Too organic prints by Birch fabrics, Whale Love and Angel Fish, both of them still absolutely gorgeous but I've already got quite a few maritime prints for the Maritime Baby Girl Quilt. And that's it for 2014. I'm set, no more pre-baby buyings - the yarn on it's way here doesn't count because it'll become a gift for the sis. Cognitive dissonance, you're saying? Lalala, I can't hear you, lalala. Great fabrics! I just love the snails, super cute! !